Linville Land Harbor housing resort community in North Carolina was a hidden treasure — which was bad news for the marketing team. The stunning views, beautiful golf course and events were being obstructed by an outdated, un-optimized and overly complicated website. See how simplifying and focusing on awe-inspiring imagery drove a 97% increase in organic website traffic. Linville Land Harbor, located in Linville, North Carolina, is a housing resort community of about 1,500 homes. The residences are modeled after Florida-style inclusive communities, according to Tyler Hood, IT and Marketing Administrator, Linville Land Harbor. “A lot of our residents, actually about 40% to 50% depending on the time of the year, are gone because they're down in Florida,” he said. With new homeowners, Hood said they mostly target people ages 40 all the way up through 80 in their marketing efforts. “Some people think of it as a second home community; some think of it as a retirement. It has a lot of different purposes for different people, and the community is very broad and different in terms of what people want out of it,” he said. One of the concerns, he said, is that the Property Owners Association he works for is considered a nonprofit, and they don’t have a sales team. “We had to rely on local realtors to sell the homes for us,” he said, adding that he began by deciding to increase traffic to the website. People are interested in topics that Linville can offer, such as recreation, outdoor living and second home community, and Hood wanted to clean up all of the materials and assets around the themes central to the brand. “I was dabbling in so many different areas … I'm IT and marketing. So, half my job is IT services for this community as well. So, just on time management, I couldn't get what I wanted in terms of results,” he said. Hood began researching based on what he wanted to achieve, and he enlisted the services of a vendor to help him put them into action. Hood has been working for the community for a little over two years, and he began this phase of the transformation in the spring of 2016. The focus was mainly on SEO and increasing the digital presence of the community. Hood wanted to make sure that online assets were successfully conveying the brand, whether it be on the website or social media. “Wherever they find us, I wanted it to be … an answer to a question they were having, rather than them clicking away and going to the next brand,” he said. The image quality, he said, was also quite low by modern standards, and Hood began systematically going through himself to try to clean up those elements in order to get better rankings on Google. “It worked to a point, but since it wasn't mobile friendly [and] that whole point deduction you get from Google, we were having a lot of trouble with it,” he said. The team began looking into building their own website using WordPress, he said. “Just realizing how much I really need to get out of this website, I knew I didn't have the expertise to get it accomplished,” he said. It became apparent that he needed to enlist help in building a website that could accomplish their goals, so they enlisted a vendor in the process. Aside from the website, Linville was still doing a lot of traditional advertising, like print ads. “Our demographic does read the paper, does read magazines. So, we played around with that. I did some studies to kind of see what kind of a readership we were getting, trying to isolate different ads at certain times to come visit our website and see if we see a surge in that period,” he said. However, he saw very poor results from paper marketing in getting people to convert and come online to the website. 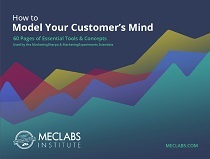 “I needed to rethink the entire structure of how we were doing. I just needed to increase total visitors to our website, and most of the previous things I inherited, the campaigns and things like, that weren't generating the results [I wanted],” Hood said. Paper marketing was still a semi-viable medium, he said, but the return on investment wasn’t generating the results he needed, even in the demographic he was reaching out to. “A lot of people thought I was an idiot starting out because the demographic isn't digital savvy, nor are they really known to use the Internet and computer for all their problems, but it's evolving,” he said. Every day, he said, he sees people he would have thought would never be on the Internet implement it into their everyday life, and the marketing needed to reflect that change. “It's been interesting watching the digital side take over and drop the paper side of marketing our equation. This year we basically spent maybe a few thousand dollars in paper marketing where in the past we've spent up to $50,000 in paper marketing. And our sales have gone up,” he said. Hood and his team began working on social media presence, SEO, and polishing up what had been done in the past. Currently, the community has a profile on Instagram, YouTube, Twitter and Facebook. These all help with Hood’s strategy to be image-focused, drawing people in with the picturesque landscape. He also bought a drone early on in the process and began filming with it to give prospective buyers an aerial view. Hood had picked up traditional photography upon taking the job, but found it hard to convey the beauty of the community and mountains from just that medium. “The drone allows you to get above it and capture it from that awe-inspiring viewpoint again. We started doing that. We had a lot of success in terms of viewer engagement on those kinds of videos,” he said. Content is hard to come by, but Hood became dedicated to putting together a more consistent schedule for social media. “I was pretty lax on it. I would post something kind of awe-inspiring and then wait it out a couple weeks and then hit them again with something else that was similar, but I didn't have a consistent strategy for … building up an audience that's engaged on a weekly basis,” he said. Heading both marketing and IT for the community, Hood had time restraints that kept him from the strategy he wanted to employ. Then, he realized that residents were doing the work for him — they were eager to share their own pictures, so user-generated content has become an integral part of the social media strategy. “We can use that content to our advantage, things like that … our users are great on our Facebook. We constantly get too much, almost, to post [from] them,” he said. Currently, he said, imagery is the “bread and butter” of the social media strategy, fostering the easiest, quickest engagement. But, he will also post a video about once a month. For instance, an especially popular one was when he flew the drone through the community fireworks over the Fourth of July. Admittedly, Hood said, his SEO strategies were “pretty poor,” but he began self-teaching Google AdWords and other strategies to grow traffic. 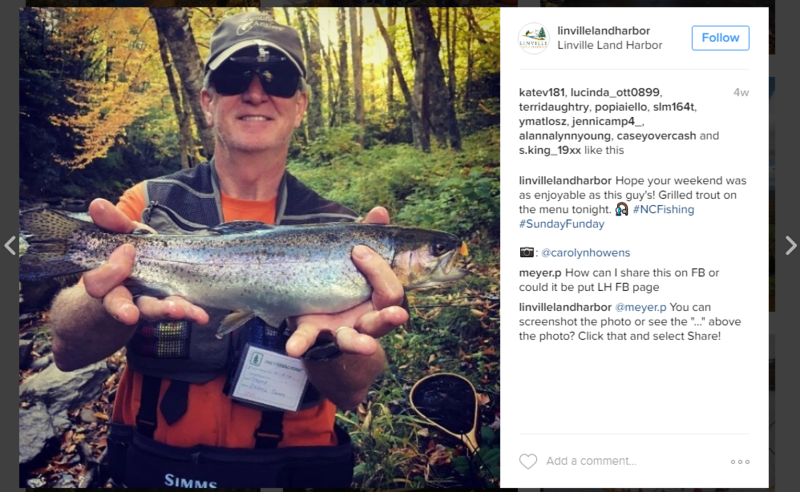 The Linville Land Harbor website gained a blog out of this effort, where the team posts articles that they believe will give them a bump for certain “high country marketing” terms. For example, the community is in a tri-town area, alongside Boone, Blowing Rock and Banner Elk, so the team does a lot of keyword research before coming up with topics to see what people are searching for in the area. 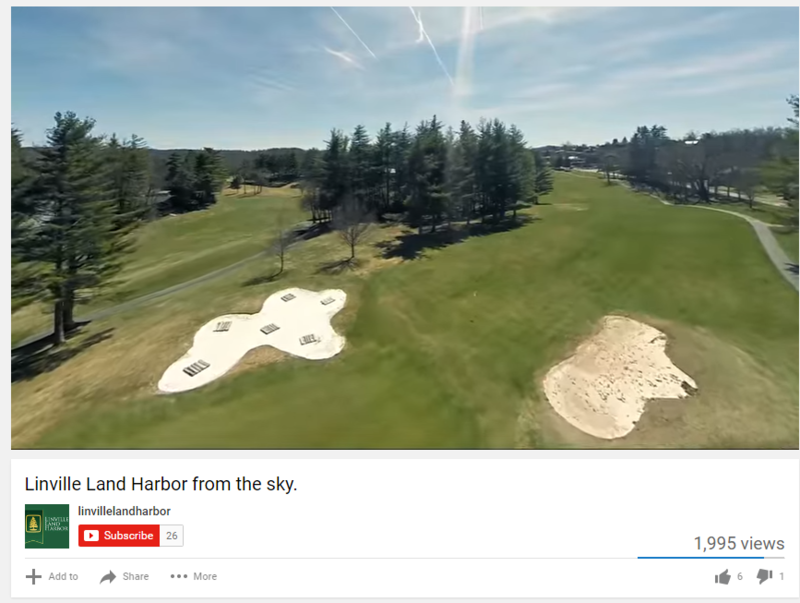 Seasonality is a big factor in that process, for example, golf is a frequent subject on the blog to potentially draw people to play the Linville Land Harbor Golf Course. The blog also features more general topics such as coffee shops in the area. 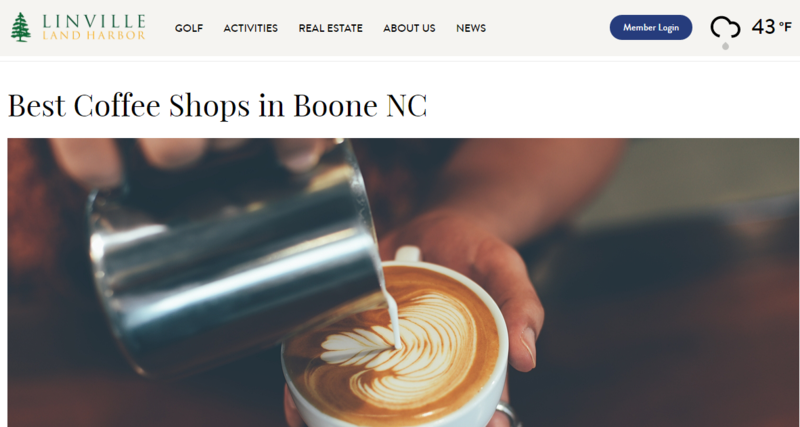 “From my experience in the Boone area, when you're looking for that kind of result, especially coffee shops, and … around here there's appreciation for roasters and people that do things locally … it's hard to find that information quickly,” Hood said, adding that that is an area in which they could rank highly. “We wanted to focus on getting more people to the real estate side of our website — all those things that basically are the key to our revenue stream. We started focusing on working that and building a website towards that purpose,” Hood said. For people looking for a second home community in the area, he wanted Linville to come up consistently as one of the top results. The intention for the website redesign was to answer entry questions quickly and convey the community’s value proposition. “We wanted to make a simple platform that was very big on the UX design aspect, and make sure that it is very easy for [customers] to seamlessly come to the website, take in the content quickly, and understand the questions they had that were answered,” he said. They wanted to increase the visibility of golf on the new website as well, not only to appeal to people who may potentially buy a home, but also the people in the surrounding community and tourists as well. The website was simplified overall by cutting down on content and optimizing what was there with key words, and it was reimagined with a focus on visual imagery that would quickly convey the natural value of the area. The previous website was definitely not mobile-friendly, according to Hood. “The old infrastructure was poor on mobile. There were non-clickable links,” he said, among other problems that had them ranking low on Google. With the user base transitioning to using iPads and mobile more frequently, this was definitely an issue for the Linville community. Hood leaned on the website vendor to help him ensure the site was fully mobile responsive. Homepage redesign: A/B Testing: What choices does your content really influence?